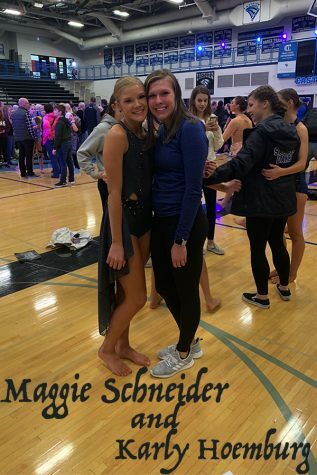 Maggie Schneider, sophomore, Rianna Runge, freshman, Reese Schwarzentraub, senior, and Maggie Fandel, freshman, all competed at the annual Miss Dance Team Competition. 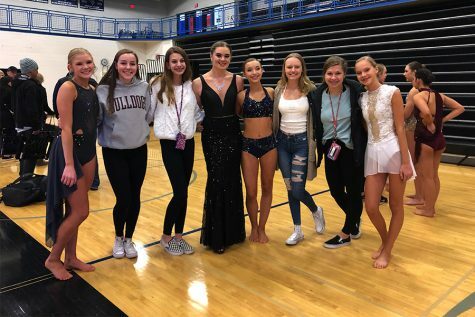 On Sunday, October 28, the Miss Dance Team Minnesota competition took place at Eastview High School in Apple Valley. This competition has been going on since 2002. The very first competition had about 30 dancers competing, however, this year there were over 100 dancers competing. The dancers that are competing must be on their high school dance teams. There are categories for different ages as well. There is a division for 7th and 8th graders, 9-11th graders, and a Miss division for the seniors. 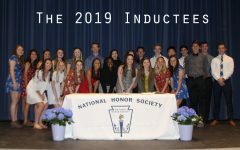 Dancers are competing for the titles of Best of 9th Grade, Best of 10th Grade, Best of 11th Grade, and Miss Dance Team, all depending on the dancers grade level. 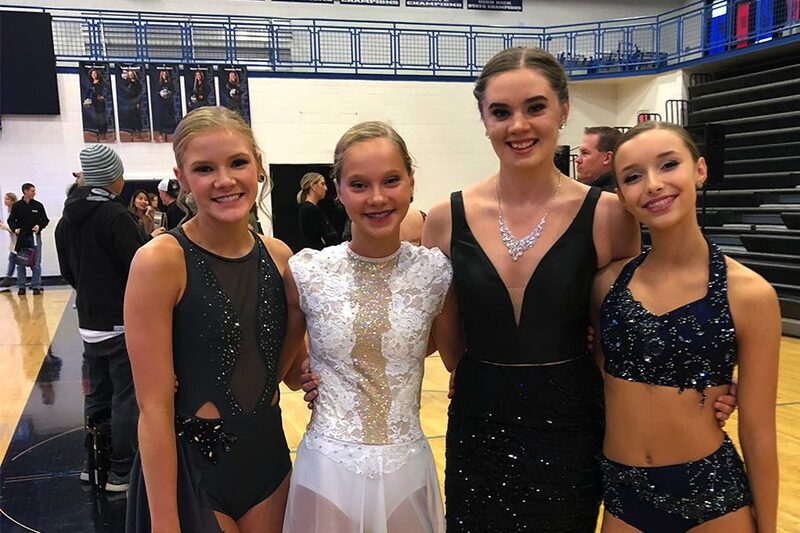 There is also a Team Minnesota created from selected dancers to go and compete at nationals. This year’s Miss Dance Team winner was Grace Kisch from Eastview High School. 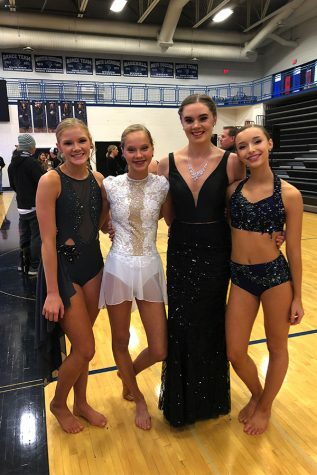 There were 4 girls from Sartell that competed in this year’s competition. 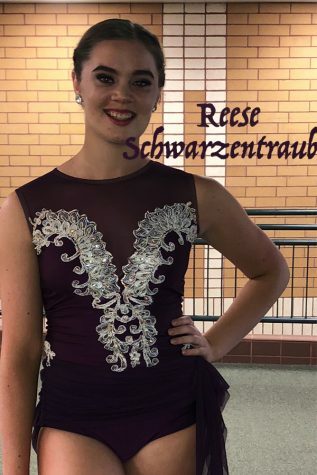 Reese Schwarzentraub, a senior at Sartell High School, competed for the 3rd time this year. Maggie Schneider, a sophomore, competed for the first time. Rianna Runge and Maggie Fandel, both freshmen, also competed for the first time this year. Reese, Rianna, and Maggie all dance at a local dance studio called St. Cloud School of Dance. Maggie Schneider dances at the local Just for Kix Studio. Q: What was your least favorite part of the day? Q: Would you recommend this experience to others? Q: How did you prepare for this competition? Q: What song did you dance to? Why did you pick this song? Q: Who choreographed your solo? Q: How does this competition compare to your studio competitions? 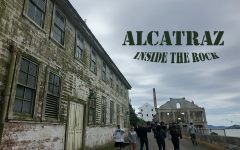 Q: Would you recommend this experience to others? Do you plan on competing next year? Rianna has been dancing since she was 3 years old. Rianna danced at Just for Kix until she was in fourth grade. She then moved to St Cloud School of Dance. Rianna’s favorite style of dance is lyrical or contemporary because she finds it the most fun. Maggie Fandel has been dancing since she was 2 years old. She started out dancing at a studio called Dance With Me. She danced there until she was about 6 years old. Then she started dancing at St. Cloud School of Dance and she is still dancing there. Maggie’s favorite style of dance in contemporary, because she finds it to be very expressive.